The BMW 323i Baur Convertible is a rare car, only a handful have been made. This E21 Baur Convertible is lowered on a set of Polished BBS RS with Black Windows. 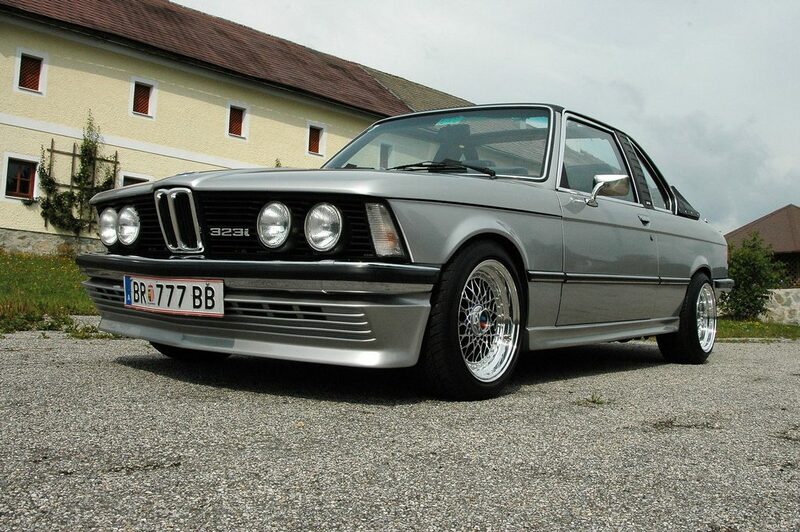 This 323i also has a BBS Front Spoiler and European Bumpers. This Blue Volkswagen Jetta MK4 sits on a set of Staggered set of Color Matched Blue BBS RS wheels. This MK4 Jetta is lowered, and also sits closer to the ground with a body kit. 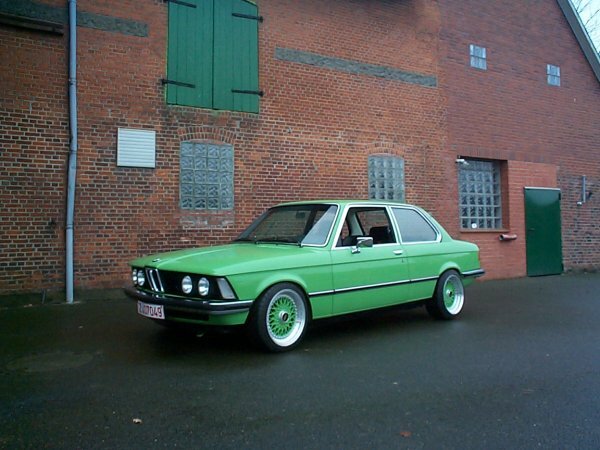 This clean European Spec Green BMW E21 is lowered on a set of Staggered set of Color Matched Green BBS RS wheels. 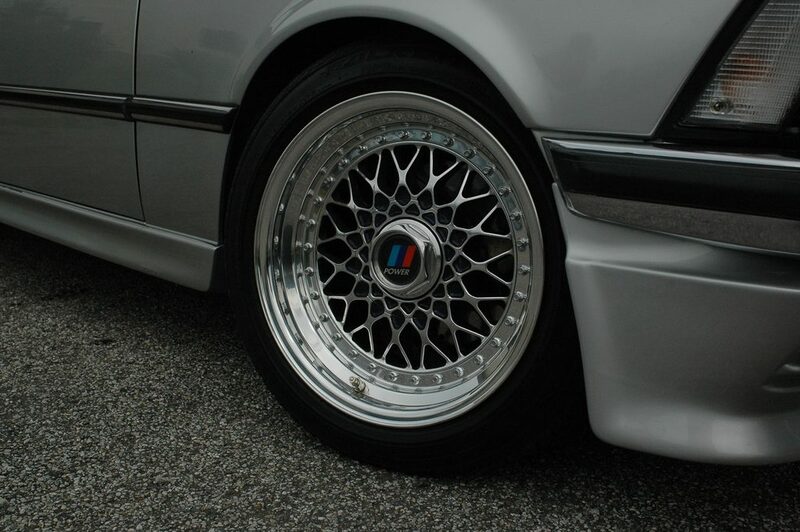 Rear Wheels are 16×9 +8 BBS RS with 225/40/16 tires. Front are 16×8 +3 BBS RS with 215/40/16 tires. Other upgrades include Porsche Brembo brakes and Bilstein Coilovers. 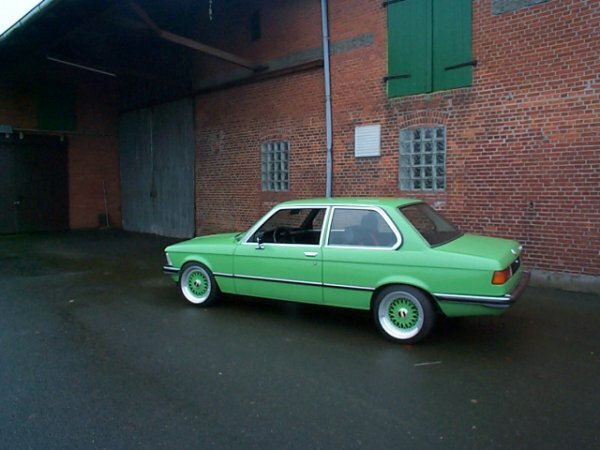 This BMW E21 looks clean and minty! This clean Volkswagen Golf MK is slammed on a set of Orange BBS RC wheels with Orange Logos. This MK4 Golf is slammed to the ground and has its fenders cleanly done. This Red Volkswagen Corrado is slammed on a staggered set of 16″ BBS RS wheels. The BBS RS wheels have Red Logos and Gold Hardware. The Corrado also has a front spoiler that sits very close to the ground. 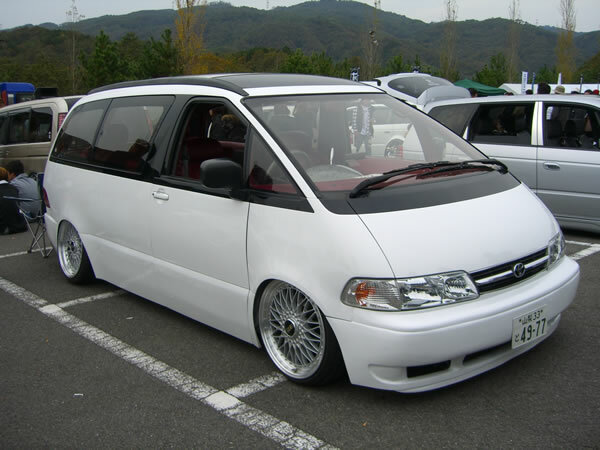 Coming from Japan is this white Toyota Estima, or Toyota Previa in the states. 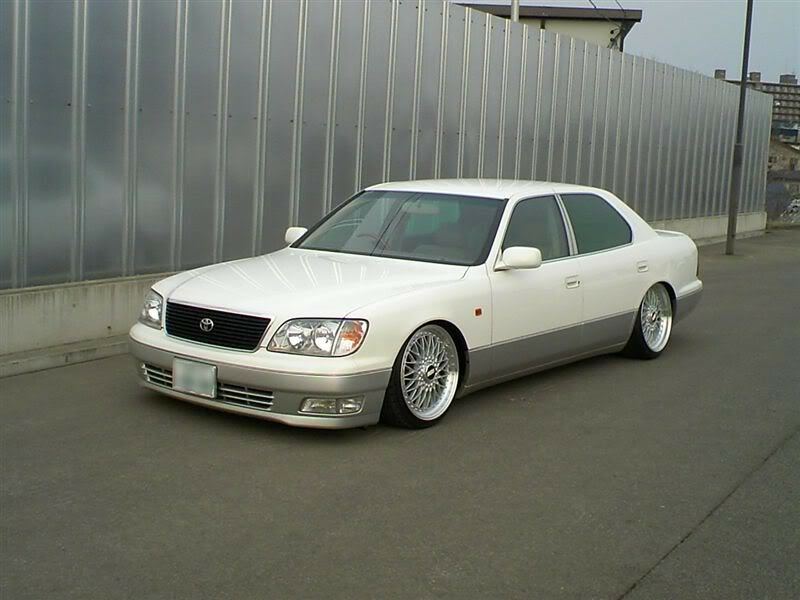 This Estima is tucked on BBS Super RS wheels. The body has been smoothed and the front bumper has a front lip that makes it look lower. Red interior looks smooth too! 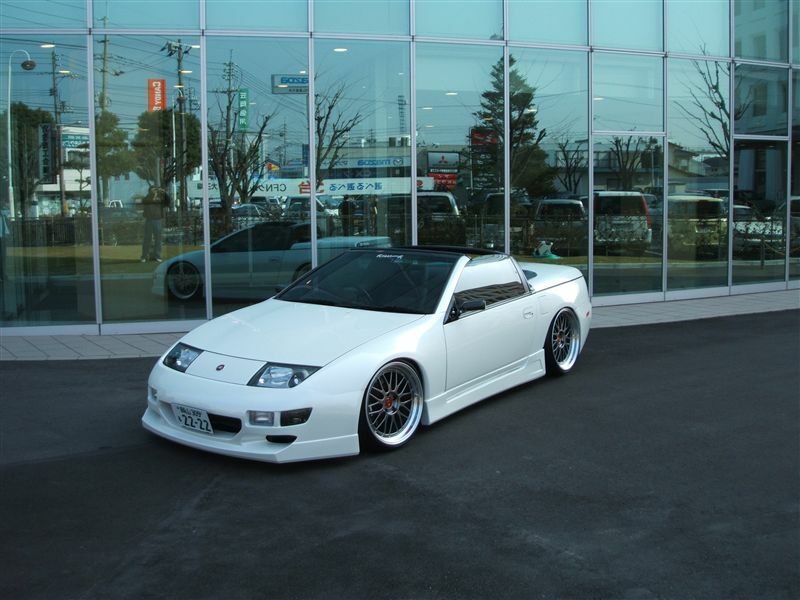 Coming from Japan is this white JDM Nissan 300ZX Convertible. This Z32 is tucked on Diamond Black BBS LM wheels and sits low to the ground with a body kit. 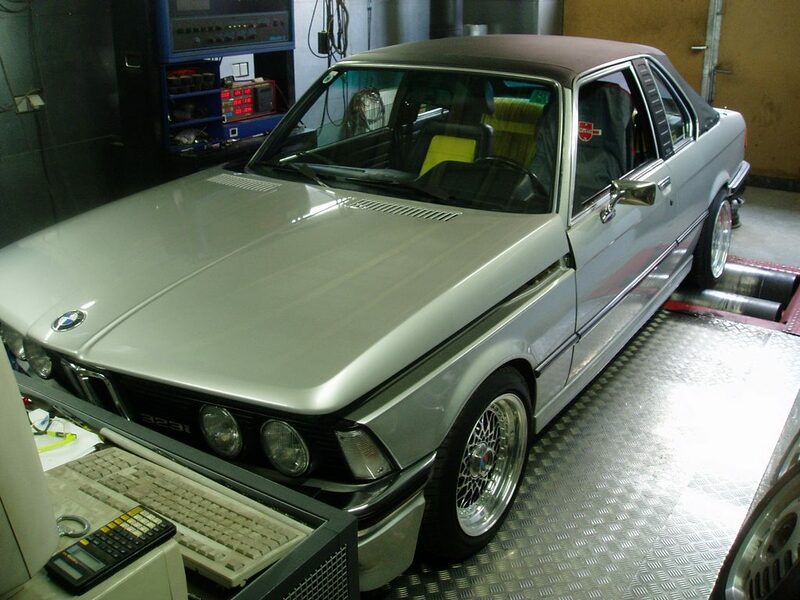 This clean Grey BMW M6 E24 from Japan sits on 16″ BBS RS wheels with 225/50/16 tires. This E24 M6 features a Bilstein Shocks, Upgraded Stainless Steel Exhaust, and the BBS RS wheels have BMW Logos. This Grey Honda Civic EK Hatchback is lowered on a 16″ set of Staggered set of Fully Polished BBS RS wheels. This EK hatch features a Back Yard Special Front Bumper, Carbon Fiber Wing, Carbon Fiber Wing, Bride Seats and a Fat Intercooler. 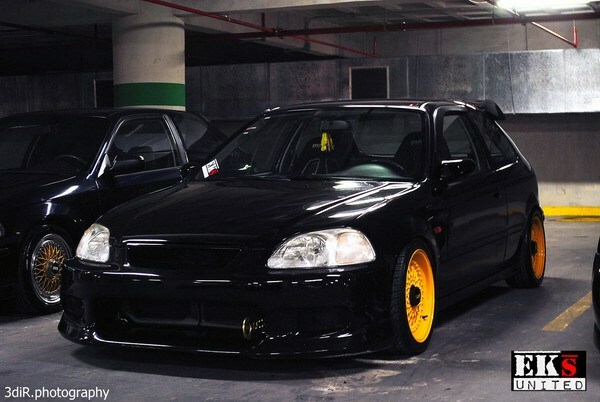 This Black Honda Civic EK Hatchback is lowered on a set of Yellow BBS RS wheels with black center caps. This EK hatch features a aftermarket front bumper, a tow hook and side markers.